From the air, the Irrawaddy River stretches like a golden snake across the landscape all the way to the horizon in the late daylight. My journey to Bagan started from Bangkok with a pre-dawn flight to Yangon. After a brief stop for breakfast at the historic Strand Hotel in Yangon, my next flight that afternoon stopped in Mandalay to let off passengers and take on new ones. As the day ended the plane made its descent into Nyaung U airport in Bagan and I could see the temple ruins and stupas scattered across the dusty plain of the archaeological zone. The fading sunlight cast a mesmerizing golden hue over the land and its famous buildings. It is hard to imagine a place so ancient, so revered, and so unchanged in the modern world of Southeast Asia. 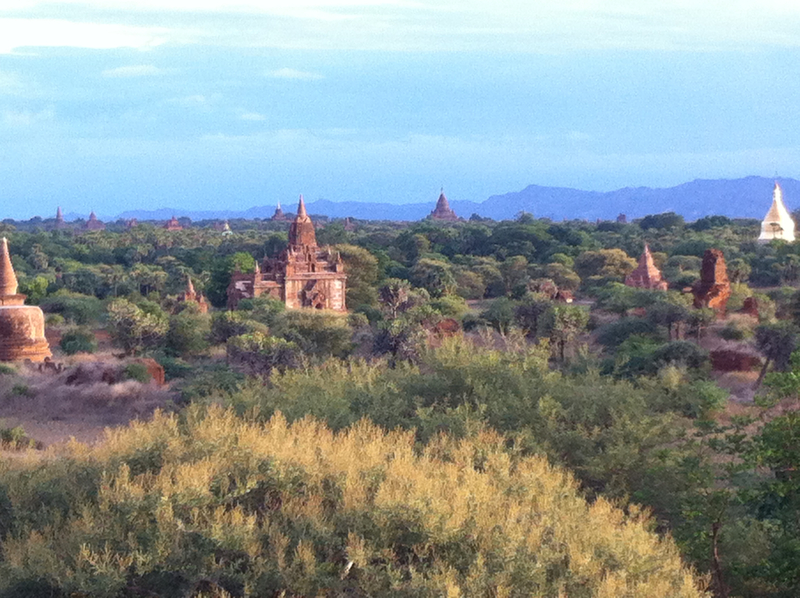 Bagan delights visitors with a bevy of amazing sights. The buildings in the archaeological zone fall into three general categories, temple, stupa (or pagoda), and monastery . Construction on the ancient Buddhist buildings began in the 12th century. Pagan, or Bagan as it is now called, was once home to over three thousand such buildings . The first phase of building from the early twelfth to late thirteenth centuries covered the reigns of the thirteen kings of Bagan until the capital was moved to Ava, a city outside of Mandalay in 1365 . 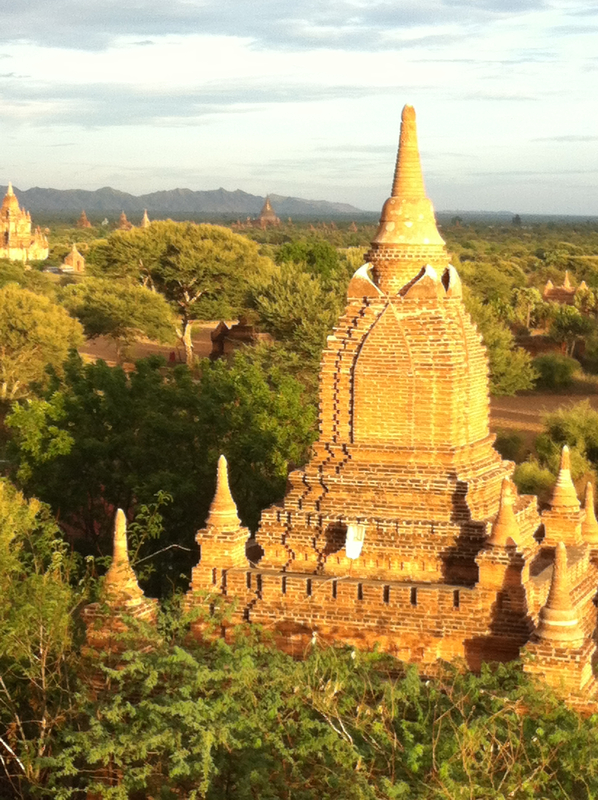 The temples of Bagan were built by members of succeeding royal families and were patronized by the nobility and elite. The temples reflect a variety of building styles, often incorporating architectural details from regions of eastern India and across Burma. Two examples of such complex architecture are Mahabodhi (a replica of the Mahabodhi temple in Bodh Gaya, India) and Nat-Hlaung Kyaung. The later is a twelfth century Hindu temple that played an important role in the secular ceremonies of the court at Bagan. On the exterior of the temple several stone sculptures depict the Ramayana, or epic story, of Vishnu  and are a good example of the conjoining of two ancient religions, Buddhism and Hinduism . 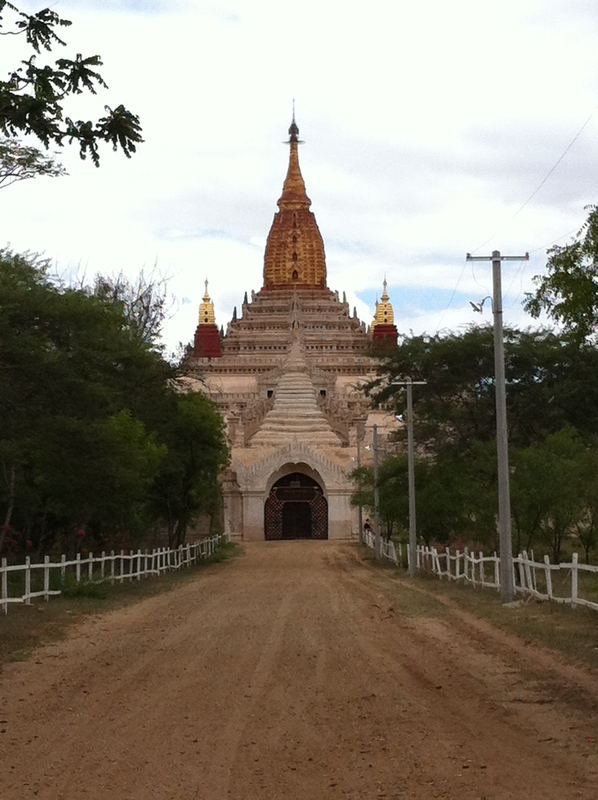 Today Bagan still attracts pilgrims to its temples, especially on religious holy days. The day of my visit was the full moon day of Waso, or start of the Buddhist season of Lent. By mid-day the roads were packed with horses pulling colorful traditional Burmese wooden carts. Wearing their traditional brightly colored longyi, the occupants of the carts were seated however they could manage; on benches, on the floor of the cart, children seated on their parent’s laps. They looked at me with as much amusement and curiosity as I regarded them. 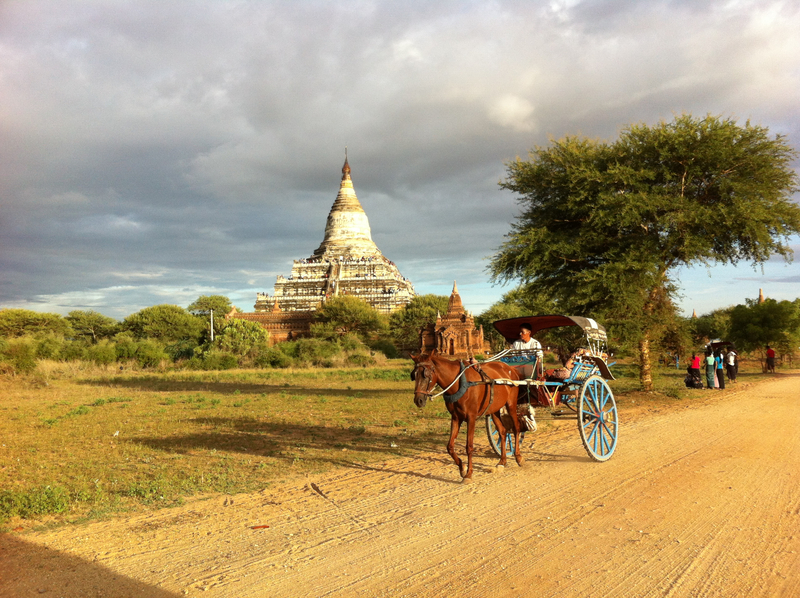 Travelling by horse cart is still a common means of transport along the arid, dusty roads of the Irrawaddy Valley plain. My guide on the trip was a wonderful Burmese retired teacher and historian. He was a wealth of information that I had not read in any scholarly accounts of the place. Bagan is not without controversy. UNESCO has not agreed to give the archaeological zone its privileged World Heritage site status due to the amount of rebuilding done with what they deem to be insufficient archaeological research and oversight . However, my guide pointed out that the monument site is one that is alive with continual use by devout Buddhists and foreign visitors. Buddhists who have the financial ability to do so can make merit by erecting their own stupas in the archaeological zone, or restoring older buildings in need of repair. After climbing barefoot up two flights of increasingly steep stairs at Shwe-San-Daw Temple, my guide and I paused to take in the sight of the sunset around us. Before my eyes the fading daylight transformed the landscape from bright golden-yellow hues to deep, dusty pinks and purples. Surrounded by joyous Buddhists on such an important holiday, I came to understand what my guide explained about the significance of Bagan to those of the Buddhist faith. They did not strike me as being the least bit concerned with whether the temples they visited had World Heritage site status or not. Their visit was a religious tradition that had continued over the many centuries, passed down from one generation to the next – they are more interested in doing right in this life to provide for their afterlife. As my guide explained when, or if, the elements of time or a natural disaster strike a building and it is damaged (such as from earthquakes – which are common in the region – or windstorms), it is often restored by those by those wishing to make merit, without oversight from a panel of archaeologists or preservationists. This explains why, when looking across the plain from the vantage point of the top of Shwe-San-Daw temple, the brick on many neighboring stupas did not match the older bricks used in the walls and doorways of the same building. Though it might benefit long-term accuracy in architectural design to have input from an international body of scholars on restoration work, it is unlikely that the label of World Heritage Site would provide any additional benefit for those who use the place as their historic place of worship. There are well over 2,000 temples still in existence today. A comprehensive survey of all the temples has been started but is yet to be completed . Unlike in England and Europe where written records still exist in church and government archives for major 11th century religious building programs, Bagan’s building history was likely recorded in palm-leaf manuscripts and on dedication stones . Unfortunately only a few hundred of the later survive. An additional source used in by historians is a nineteenth century chronicle called The Glass Palace Chronicle. Temple construction was a fast enterprise; most temples were completed well within the lifetime of the royal donors . Of the building types, the most prominent which remain in existence today are the early temples, built in the 12th century, followed by the stupas, monasteries, libraries, ordination halls and image houses . Of the early surviving temples, Ananda exemplifies the scale and grandeur of the early 12th century. Its square, cruciform plan remains in good condition and easily accessible to visitors. After leaving ones’ shoes at the outer entry gate and making way through the covered passages filled with stalls selling an assortment of tourist items, the entrance hall to the inner temple becomes clear. Restoration of the entrance hall walls on the northern and eastern sides of the temple has revealed frescoes depicting large images of Buddha and decorative roundels in burnished-ochre color paint. In each of four directions along axis points aligned with north, south, east and west are Buddhas with altars. Of the four golden Buddha statues, two are original and two have been replaced with copies of the originals that were lost to fire. The inner sanctum is a holy place, with two corridors forming a square passageway accessing the four Buddhas and their altars, an inner one formerly used by monks and an outer one used by members of the various royal families and nobility who visited Ananda. Along the whitewashed walls of the monk and royal corridors are hundreds of gilded- framed niches running up the full height of the walls. The niches contain gilded images of Buddha at various stages of life, stone carvings of animals, and figures from the life of Buddha. Visitors to the temple can access the four Buddhas from either corridor, although due to the large number of bats above the inner corridor my guide directed me to the safety of the outer passage. On the day of my visit, Aung San Suu Kyi made merit at the temple just hours after my visit. 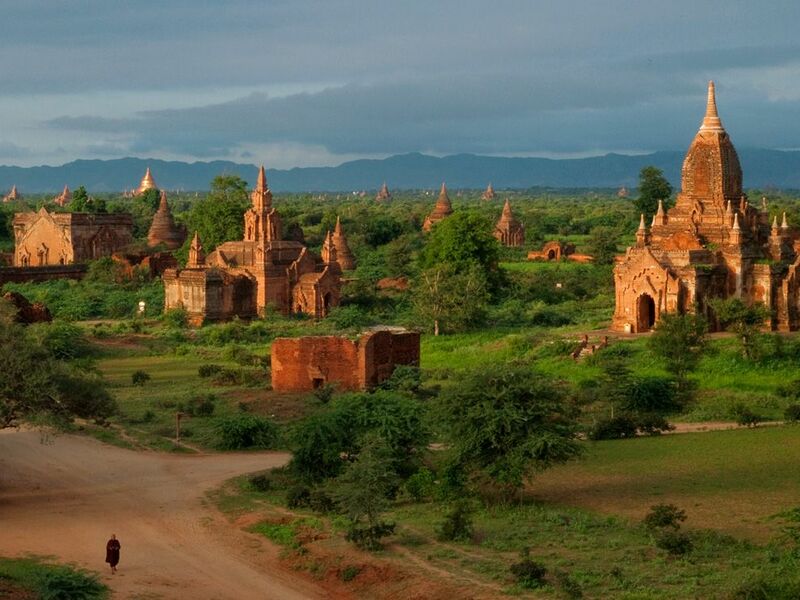 Bagan is more than just an archaeological site to visit for its history and exotic architecture, it is also a place for worship for many locals and a venue for exploration and wonder. Regardless of whether or not it is ever granted UNESCO World Heritage status, it will undoubtedly remain a unique religious site that will be visited for generations to come. One can only hope that as the new country of Myanmar welcomes the world to visit its sacred monuments, it is not to the detriment of its cultural identity and historic sites. The archaeological zone extends from the entrance road to the airport along the banks of the Irrawaddy River and inland several miles. According to the 19th century Glass Palace Chronicle, the numbers amounted to 1,000 stupas, 10,000 small temples and 3,000 monasteries. However modern scholarship puts the number closer to three thousand buildings in total. 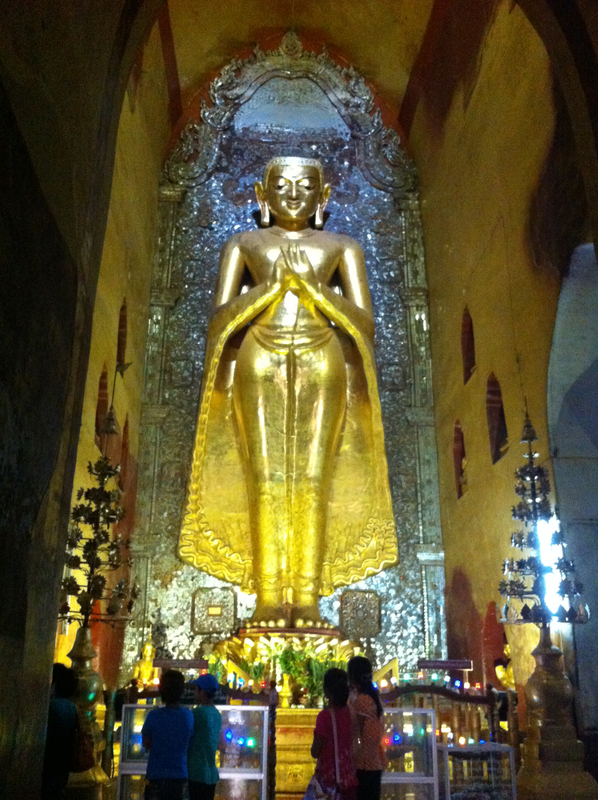 See Stadtner, Donald J., Sacred Sites of Burma, Bangkok, 2011, 216. The capital of Burma has changed many times over the centuries. Historically, the capital was located at the site of the ruling family. Other capital locations include Ava, Mandalay, and Yangon. This is also evidenced in predominantly Buddhist Thailand where it is common to see many references to Hinduism in the cultural identity of the Thai people. One has to look no further than the Ramakien, or Thailand’s national epic history, and it’s depiction in Thai art and sculpture. The Ramakien is derived from the Hindu epic tale the Ramayana. 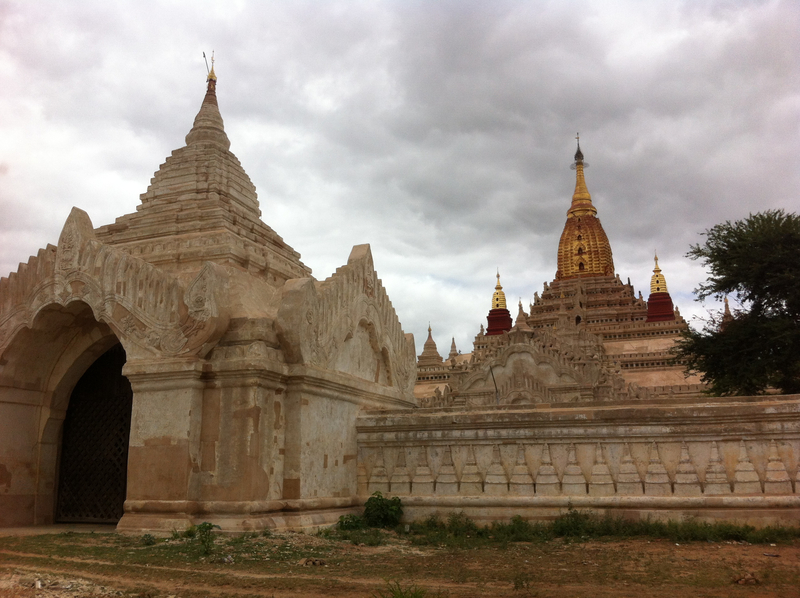 According to a encyclopedia and reference entries on Bagan, author(s) often refer to the period in the 1990s when the Burmese military government carried out restoration work without assistance from local or foreign historians or architectural preservasionists. However, following the July 8, 1975 earthquake measuring 6.0 on the Richter scale, UNESCO and the Department of Archaeology worked together to restore the most affected buildings. See Stadtner, Ancient Pagan, 13. An eight-volume work by Pierre Pichard entitled Inventory of Monuments at Pagan was carried out in the wake of the 1975 earthquake and prior to the restorations undertaken in the 1990s by the Burmese government. According to Stadtner, the Chronicle was “…compiled by court officials in 1829 … Much of it was drawn from a chronicle compiled in the preceding century that relied upon even earlier material”. Stadtner, Ancient Pagan, 20. Stadtner, Donald J., Sacred Sites of Burma, 219. According to Stadtner, “Even the largest monuments probably took no more than three or four years, as a few inscriptions indicate. A medium-sized temple within the city walls, the Shwegugyi, took only seven and a half months to complete”. Stadtner, ibid., 219. Stadtner estimates 900 temples, 500 stupas and 400 monasteries were built in the space of the 12-13th centuries.